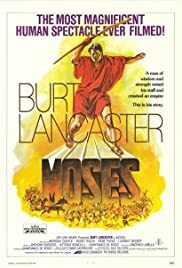 A biopic of Moses, who found the Ten Commandments and parted the Red Sea. Aaron: [immediately after forging the golden calf at Mount Herob] ... Children of Israel, this which you see here... this is not God. The very idea is absurd! But it will *remind* you of God, each and every day that you pass by it. The main thing that I liked about Moses The Lawgiver was that it dealt with a lot of what Cecil B. DeMille in his twice told tale failed to cover. A lot of things happened to the Israelites before they're allowed to cross the Jordan into Canaan. DeMille skipped over that whole part of the story. Of course it doesn't have the splashy spectacle that so typifies DeMille, but there's a lot to be said for this made for TV mini-series. 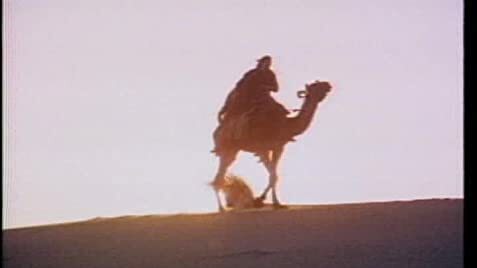 Burt Lancaster as Moses is not the commanding presence nor does he speak in arcane dialog as Charlton Heston did. He leads by persuasion and example and he has more than one reason to think those Hebrews are a 'stiff necked people'. The character of Aaron given short shrift by DeMille is more fully developed and played here by Anthony Quayle. It was certainly a 20 year trial for Moses leading this bunch. These people did see this man come through for them many times in a crisis and still they carp and complain. Lancaster becomes irritable in a way Heston didn't and wouldn't. It's a more human Moses. Bible scholars will praise this interpretation of the story, but the masses will still love their DeMille.